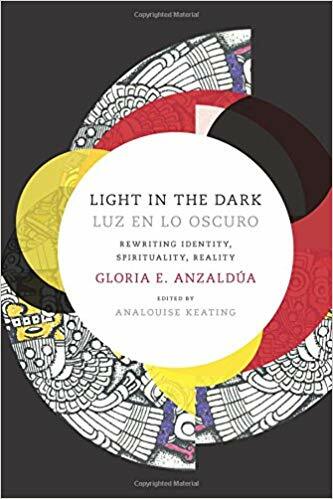 “We are all wounded, but we can connect through the wound that’s alienated us from others,” so writes Gloria Anzaldua in her book Light in the Dark. Anzaldua was an American scholar of Chicana cultural theory, feminist theory, and queer theory. Light in the Dark is a fascinating discussion of how we put ourselves together again after we’ve been broken apart by trauma. Last summer our “Holy Resilience” worship series explored the themes of trauma and resilience. The above statement from Anzaldua resonated with the reading I did for that sermon series, particularly Shelly Rambo’s Resurrecting Wounds: Living in the Afterlife of Trauma which also discusses the significance of wounds and the ways we can relate to one another through them. The Coyolxauhqui imperative is to heal and achieve integration. When fragmentations occur, you fall apart and feel as though you’ve been expelled from paradise. Coyolxauhqui is my symbol for the necessary process of dismemberment and fragmentation, of seeing that self or the situations you’re embroiled in differently. Coyolxauhqui is also my symbol for reconstruction and reframing, one that allows for putting the pieces together in a new way. The Coyolxauhqui imperative is an ongoing process of making and unmaking. There is never any resolution, just the process of healing. I find these concepts quite intriguing. At the same time I was reading this, I finished Maryse Conde’s Tree of Life and began Octavia Butler’s The Parable of the Talents. Both novels have aspects that fit Anzaldua’s worldview, of guiding across liminal spaces by those in touch with their wounds. May we all be people who have learned from our experiences of trauma and who turn those experiences into the creative powers necessary to lead others into a new and better world.